Planning a visit to Brazil, the 5th largest country in the world, may seem like a logistical maze, given its gargantuan size, diversity of its attractions and eclectic climates in every corner of the country. However, finding the best time to visit the Amazon is a slightly less complicated matter. 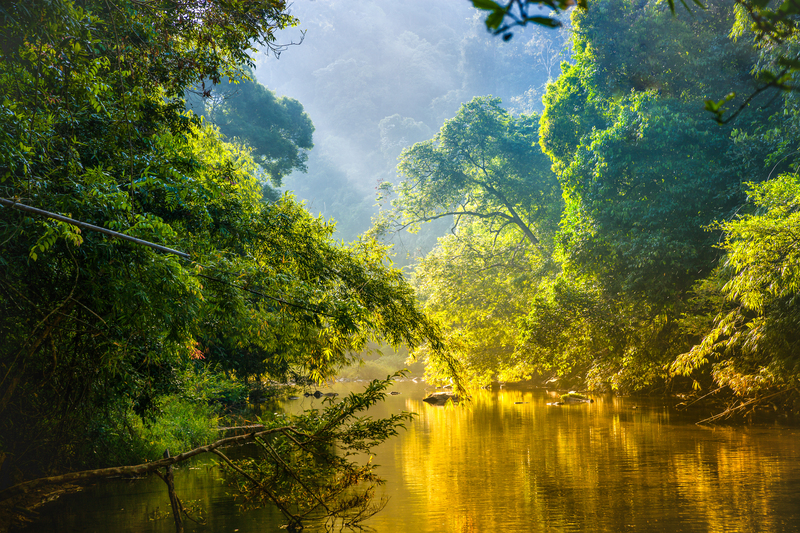 Being the primordial tropical rainforest that it is, the Amazon is hot, humid and wet all year long and temperatures consistently hover between 24°C and 28°C. So if you’re looking for a month when you’ll experience a chill in the air is a futile endeavour. However, that is not to say that everything about the climate stays identical, all year long. Yes, there is a time of year when it rains much less, and yes, there are months when humidity is not quite as T-shirt-drenching as others. There are also regional differences to consider (did you know that the Amazon Rainforest is two-thirds the size of Australia?!) and wildlife-spotting differences, depending on which time of year you visit. So when is the very best time to visit the Amazon? Read on and find out! The Amazon stretches over 5.5 million square kilometres and traverses not only 9 South American nations but also the Equator, covering 12 degrees of latitude both in the north and south. Its sheer size dictates a kind of biodiversity that is unmatched, anywhere on earth, making it one of the most important natural treasures on our planet, home to some of its most iconic wildlife. In total, there are four climatic zones, yet that’s not the only thing that determines when the best time to visit a very particular region. Ease of accessibility plays a vital role in pinpointing when to visit, as there are a few select base points (for example Rurrenabaque, in Bolivia) that are often inaccessible during the wettest months. Here are the most important factors to consider when determining the best time to head to this incredibly rewarding and fascinating natural wonderland. It’s not as hot as you might expect – Visit Rio de Janeiro in the heart of summer and you’ll experience scorching days when the thermometer hits 40°C, something that is unheard of in the Amazon. You may find that the temperature per se isn’t nearly as stifling as you may expect, although when humidity is at its highest it can certainly be a burden to the uninitiated. You may also experience a slight cooling of an evening, certainly enough to warrant packing a light cardigan. There’s no dry season, not really – Rather than considering them dry and wet seasons, it’s wiser to think of Amazon seasons in terms of very wet and slightly-less-wet seasons. Or, as we call them, high and low water levels. Rain is what keeps this luscious paradise thriving and is ever present, with seasonal differences determining whether downpours last one hour or an entire day. The wettest months in the Amazon are December to May, whilst the driest are June to September, with August, on average, receiving the lowest amount of rain. It rains more in some parts than others – Given all this, it’s still worth mentioning that, on average, the eastern portion of the Amazon (the one closest to the Andes Mountains in Bolivia, Peru and Ecuador) receives about twice as much rain as the portion near Manaus, in Brazil. But rains are not you enemy – In the Amazon, where would you go without rain? Probably not very far! High water levels help us navigate deeper into the rainforest, with new shortcuts added along flooded ground. Visiting during high-rain months is insanely rewarding if you wish to travel farther inland by boat or canoe, although travel by boat is always the preferred – and really only – way to enjoy a comprehensive Amazonian experience. And besides…the sights, smells and sounds of the rainforest, after a heavy downpour, are absolutely magical. ‘Dry’ season is best for wildlife spotting & hiking– The Amazon literally bursts at the seams with wildlife, yet dense forest makes animal-spotting quite tricky. This makes expert naturalist guides absolutely priceless, as they are apt at spotting elusive creatures. For the best wildlife-viewing experience, visit the Amazon during the less-wet months of the year, when animals are enticed to head to riverbanks to quench their thirst. The only exception being anacondas, which will be easier to spot in wet season simply because one spends more time travelling by boat. You may not be able to navigate much by boat during dry season but this travel at this period offers copious chances for long walks into the heart of the forest, rather unforgettable experiences. 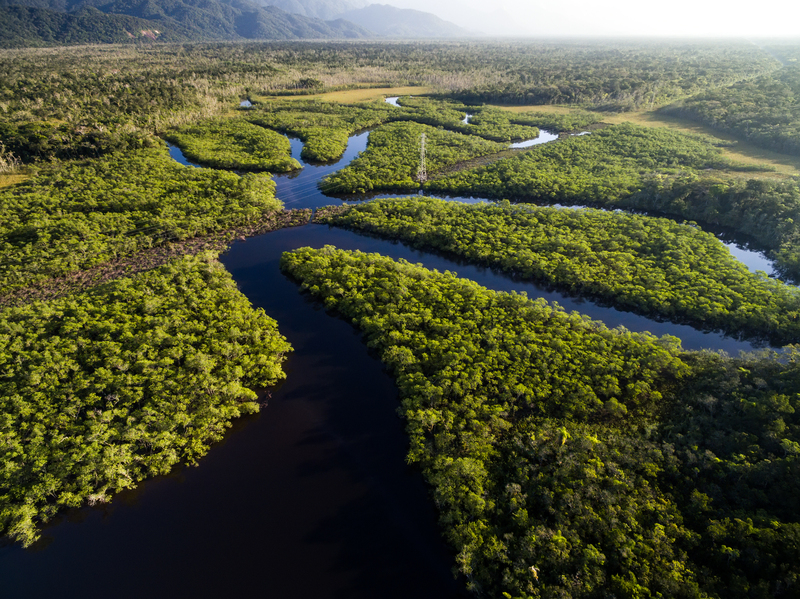 There’s a sweet spot – Visiting during the period when the Amazon begins to dry ever so slightly, in June, can offer the best of both worlds: still enough water to travel unhindered yet with an increasing chance of wildlife-spotting. Rain and humidity are, naturally, related – If extreme humidity is your pet-hate, aim to visit the Amazon during the driest months, when humidity will be at its most manageable. Pesky insects – Mosquitos may be more prevalent during the wettest months, although you should pack (and use) strong repellent no matter when you visit. If you’re at all worried about safety levels in the Amazon, or Brazil overall, read this safety guide before you go and check out this excellent insect prevention guide. Decide WHERE you’d like to go, first – Even though the Amazon does cover portions of 9 nations, only 4 of these boast enough tourist infrastructure to make comfortable and rewarding travel possible. These are Peru (with base points in Iquitos, Puerto Maldonado and Manu), Bolivia (Rurrenabaque), Ecuador (from Quito) and Brazil (Manaus). You can choose to indulge in a luxury cruise along the mighty Amazon River or hop between stunning eco-lodges set deep within the rainforest. It will be an awesome experience, no matter what – A trip to the Amazon is a once-in-a-lifetime highlight for everyone, young and old alike. To be brutally honest, it simply doesn’t matter when you come, as long as you simply do. This is one of the world’s most mesmerising travel destinations and if you are restricted to a particular month, for whatever reason, then do take that and run with it. 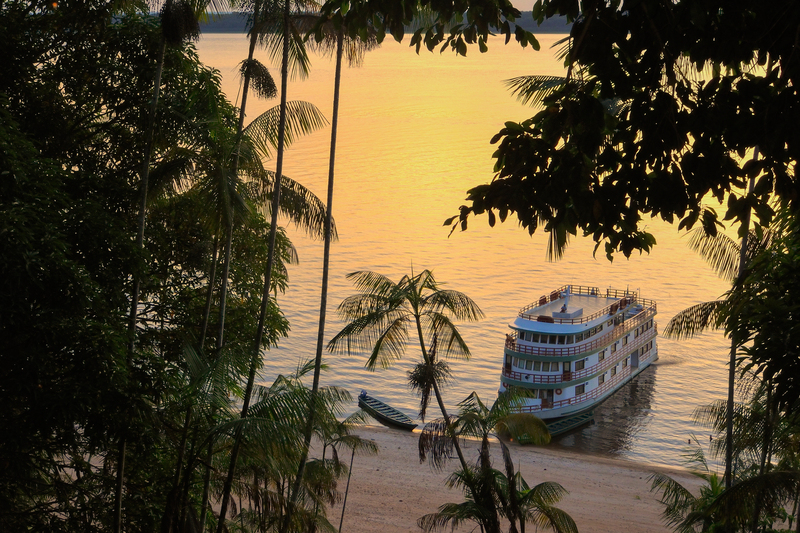 The Amazon will astound you, move you and totally captivate you….at any time of year. So why not simply visit one season this year, and plan a visit during the opposite season next year? For once you get a taste of this incredible place we guarantee you’ll want to visit again. Inspired to add a trip to the world’s most important rainforest to your travel itinerary yet? Then call us! We are the Amazon specialists and, between us all, boast an infinite array of experiences travelling in all seasons: we’ve been there with our families and children, in wet and wetter months; we’ve stayed in lodges and even cruised in luxurious comfort. So let us help you determine the best time to visit the Amazon based on your likes and availability and let us plan your next totally unforgettable journey to one of the most breathtaking travel destinations in the world.